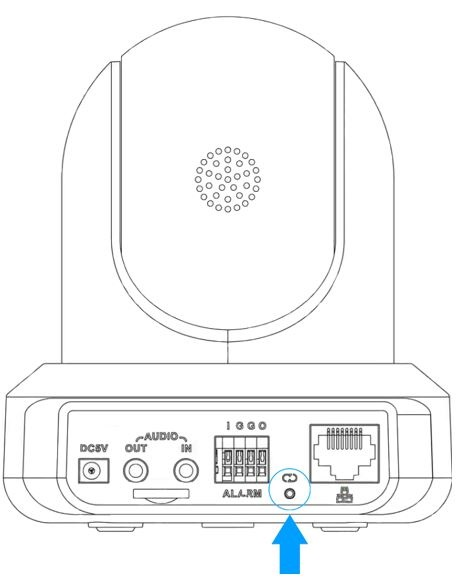 Note: Prior to performing a physical, hard factory reset, it is recommended to first perform a reset via the web user interface (Web UI) of the camera on a computer. This is useful as well if you do not have direct, physical access to your camera. For more information on how to perform a factory reset in the web UI of your camera, click here.